From a rustic vineyard shoot to a quirky make believe ‘la la land,’ make your pre-wedding photo shoots heavenly by shooting across our favorite 15 pre wedding venues that’ll surely guarantee memories for a lifetime. Established during the British Raj, Cubbon Park has a rich cultural heritage and an even richer treasury of flora and fauna. Spread out over a gorgeous 300 acres, it has ancient, huge trees, lush surroundings, a bandstand and an aquarium and has a fairytale quality to it in pictures. 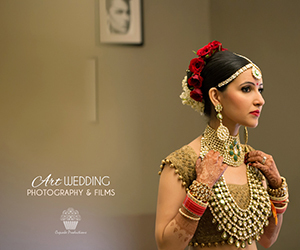 The Courtyard House off Sajarpur Road is a popular venue for intimate weddings and professional shoots. The large, high-ceilinged rooms of the house all connect to a gorgeous, open-to-sky centre courtyard at the heart of the venue. There’s also a lawn and pond! Its earthy tones and natural light will bring a bright warmth to your photos. Strategically located only ten minutes from Bangalore International Airport, Jade 735 is an uber cool, very modern, luxurious, chic location for a shoot. Its fully furnished boutique villas, chalets and pool are perfect for a romantic, stylish shoot with a statement aesthetic. Nestled in a five-acre garden, the wind whispering in the old trees, the impossibly beautiful Tamarind Tree shows off its cultural wealth in the architecture of its traditional courtyards, cobble-stoned pathways, and cloud of fragrant frangipani. If you’re looking for a venue to complement your vintage theme or for a contrast to an avant garde styled shoot, you’ll get beautiful images here. Get on cloud 9! Once regarded as the ‘hills of happiness’ during the Chola period, Nandi Hills in Bangalore is a picturesque mountain scape that would serve perfectly if you want your pre-wedding photo shoot 4,851 feet above sea level! In Mavalli in Bangalore, Lal Bagh is where you must head if you’re looking to recreated a royal setting. The glass house is world renowned and will give the entire shoot a mystic touch. The gabled cottage at Sommer House was called ‘Peace Place’ by its original German owners who built it more than half a century ago. Today, its owners Christine and Suleiman Jamal lovingly care for it and their fleet of vintage cars. It’s perfect for a sepia-toned shoot with a touch of vintage silver screen. You could be anywhere in the world where the vibe is young, the people are quirky and there’s the crackle of fun in the air. Bright colors, natural light, interesting spaces, Biere Street at Whitefield is like an Oktoberfest location without having to worry about the visa. Nandi Hills’ traditional popularity as a tourist hotspot is now enhanced by its burgeoning wine industry. Schedule a pre-wedding photo shoot in the beautiful Grover Vineyards and don’t forget to enjoy a glass of wine yourself! It’s a film studio, it’s an amusement park and if you want to relive your childhood or just make-believe,Innovative Film City near Birmagla Cross is the ideal setting for an imaginative pre-wedding shoot. 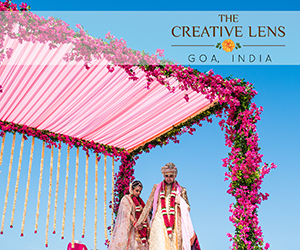 Elements is a weddings and events hall flanked by an expansive water body, a maharani mandap and a starlight room with mood lighting décor. 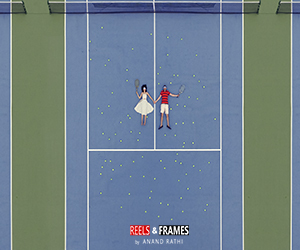 It’s great for a wedding and perfectly apt for a heavenly pre-wedding shoot. Make your dreamy fairytale fantasy come into life with pictures near this mystical lake or crossing its wooden bridges and exploring the cave. Every nook and corner of Guhantara Resort has a natural exoticism that would work beautifully for an art-directed, story-boarded, well planned photo shoot. A picnic in the garden and then a rowboat on a clear, cool lake? Yes! Sankey Tank has both and you can tell your own smakes for an ideal pre-wedding photo shoot venue for when you just want to have some fun while your photographers shoot some of your most candid moments of a lifetime! On the east of the Garden City, Ulsoor Lake is Bangalore’s biggest. Perfect for a dreamy sunset backdrop or just a set of candid pictures off a picturesque water body, head here to make some magic. The MG Road promenade is high-street heaven for a shoot from ultra-chic urbania. With its trendy pubs, brightly lit restaurants and street buzz it has a wonderful big city feel and that gorgeous green canopy the trees make overhead is an added bonus. Still looking for inspiration? 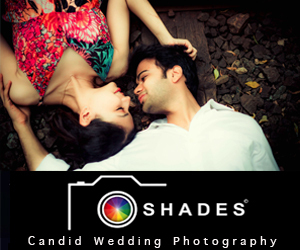 Check out our album “Pre Wedding Photography”. Check out similar posts from Mumbai,Delhi and Gujrat here. 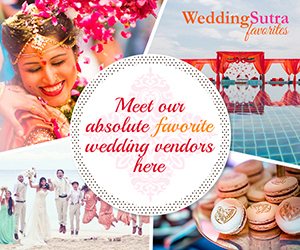 If you are based in Bangalore and are getting married in 2017 or 2018 and would like to have a beautiful pre-wedding shoot with us, please write to editor@weddingsutra.com with the link to your Facebook profiles, wedding date and ‘How you met’ story. Selected couples will be invited for the Love Actually shoot in Bangalore. This entry was posted on Tuesday, August 8th, 2017 at 9:41 am	and is filed under Pre Wedding Photoshoots. You can follow any responses to this entry through the RSS 2.0 feed. Both comments and pings are currently closed.